There is not much in the way of superstition recorded, though the Pennsylvania Germans say that if beets run to seed the first year, it foretells a funeral, or someone in the family will die (Fogel), a belief that must presumably have travelled from Europe. A distinct oddity from Kentucky insists that eating beet is a sign that you are in love! (Thomas & Thomas). The dream books say that if you dream you are eating beetroot, it is a sign that your troubles will disappear, and that prosperity will follow (Raphael). Certainly, one or two of the so-called medicinal usages look more like superstitions, or charms, at least. For instance, from Corfu - a small bottle of beetroot juice is corked and put in the heart of an uncooked loaf of bread. The bread is baked, and the bottle removed, and then the medicine is drunk in small doses for dysentery or diarrhoea (Durrell). And Langham's optimistic statement must come under the same heading - "the asches of the root with hony, restoreth haire, and keepeth the rest from falling". Prescriptions involving beetroot have been used for fevers since ancient times. One "confection for the fevers" is included in a 15th century collection of medical recipes, and reads "take centaury a handful; of the root and of the leaves of the earthbeet a handful; of the root of clover a handful; of ambrose a handful; and make powder of them, then mix honey therewith. And make thereof balls of the greatness of half a walnut. And give the sick each day one of them fasting, and serve him nine days. For this is a good confection for fevers and the mother and for the rising of the heart" [flatulence] (Dawson). That may have worked, especially as nine days may have been enough to see the fever off naturally, but one would have to question the Balkan practice of treating a fever by laying beet leaves on the skin round the waist, and changing it morning and evening, for three days (Kemp). 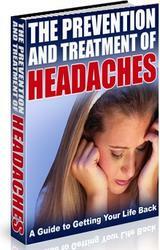 The earliest reference to the use of beet, for headache this time, comes from Anglo-Saxon times. The Lacnunga has this prescription: "Roots of beet, pound with honey; wring out. Apply the juice over the nose. Let him (the patient) be face upward toward the hot sun and lay the head downward until the brain be reached. Before that, he should have butter or oil in the mouth, the mucus to run from the nose. Let him do that often until it be clean" (Grattan & Singer). Gerard endorsed the practice, in fewer words, and even in the 18th century it was still repeated by Hill. There are still one or two more odd-sounding medical practices. In Russian domestic medicine, for example, a gargle of beet juice is a recognized remedy for adenoids (Kourennoff). Another is the Pennsylvania German claim that crushed beet leaves put in a rag and bound on a wound will cure lockjaw (Fogel).